We are the Manufacturer, Exporter and Supplier of Graphite Lubricant in Gujarat. The company offers Graphite Lubricant which is used in air compressors, railway track joints, machine-shop works etc. Graphite Lubricant helps in greasing locks, machines and components for easy working. 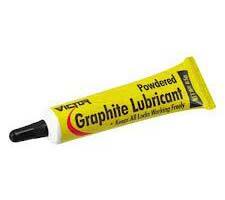 We offer Graphite Lubricant at market leading prices.